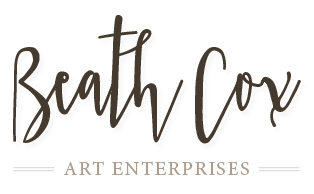 In 1974, David and I were awarded, by the Australia Council, a South-east Asian Fellowship to enable us to gather material for writing and composition in Indonesia. We arrived there armed with tape recorder, camera, sketchbooks and manuscript paper. The Indonesian government was helpful in supplying letters of introduction to artists, poets and musicians. In Bali, we had the very good fortune to meet Cokorde Agung Mas, an expert musician and an authority on gamelan music. Cokorde Mas assigned a fine musician, Anak Agung Raka as my teacher in the practice of Balinese gamelan music, but other musicians also took an interest in my musical progress and gave encouragement. On this CD you will hear our comments made at that time as well as Raka playing the bamboo flute, a Balinese jam session with Raka and a young man called Alit playing gender and Cokorde Mas playing the Balinese drum, as well as a fine performance of the music of the Legong dance by students of KOKAR, the Balinese conservatorium of music. From the lively musicians of Bali, David and I moved to Java to hear the sonorous sounds of the gamelan of the Sultan’s palace in Jogjakarta, western music in the Akademi Musik Indonesia and well loved folk songs from the island of Sumatra. 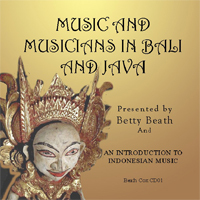 ‘Music and Musicians in Bali and Java’ will be available to purchase online shortly. Please check back again soon.